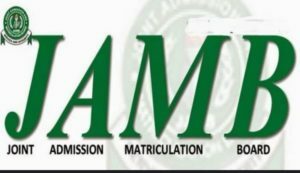 Did you make any mistake in the 2019/2020 jamb registration process? If yes we are here to enlighten you on how you can quickly correct this error with little effort. But before you will be able to correct this errors, you will have to wait for jamb to open their portal for that, if not it will be difficult for you to effect any changes on your bio data with jamb. 4 JAMB Change of Course & Institution / Data Correction Procedure for 2018, 2017,2016,2015 ownward. You can correct any of these mistakes immediately the portal has been opened. It will be recalled that the 2017/2018 portal was opened around 5th of May, immediately it was open thousands of candidates who made one type of errors or the other during registration was able to quickly correct these errors. First you have to visit the 2019/2020 JAMB portal at http://www.jamb.org.ng/efacility/. Then Login with your Email and Password. When you are logged in Click on ‘Registration (2019 only)’ from the list of services offers by JAMB on the left side of your screen . From the drop DOWN Menu , select ‘2019 UTME Data Correction‘. You now have to proceed to payment. JAMB Change of Course & Institution / Data Correction Procedure for 2018, 2017,2016,2015 ownward. For those who wrote jamb in 2018, 2017,2016, 2015,2014,2013 and years below, need to follow the guide outlined below to effectively change their data on JAMB portal. You have to log on to JAMB E-facility portal @ http://www.jamb.org.ng/efacility/. You have to Login with your profile Email and Password. Click on ‘Application for Correction of Data (2018 Downward)’ from the list of services offers on the left side if your screen . Hope the above is very helpful to you? If not don’t hesitate to contact us for further information. pls can i get noticed when jamb opens portal for correction of data?